Polyxenis offers rooms that could host 2-6 people. 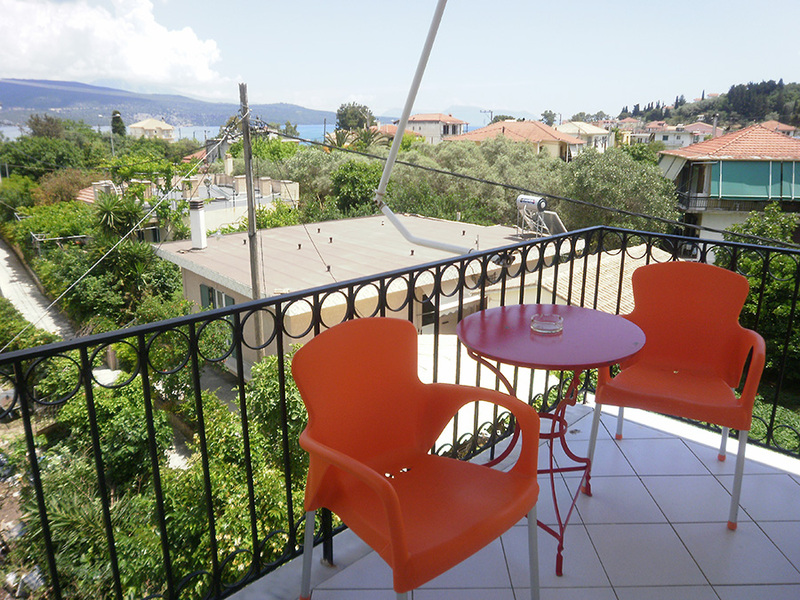 All rooms have their own balcony overlooking the sea, the pool or the surrounding hills. Each comes with a private bathroom with shower. Featuring a kitchenette with fridge, all the air-conditioned units at the Polyxenis have a TV. Breakfast is served in the area near the pool. We offer among else a variety of homemade marmalades , yogurt with local honey , fresh juices and traditional pies baked from Grandma Polyxeni. Our guests can enjoy their drinks in our bar, swim in the pool and relax in the sun –terrace. BBQ area is provided free if you like to cook your own meal . The huge yard makes the place totally safe for your kids to play .